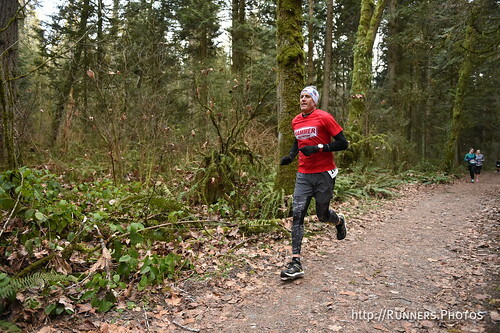 This event is unique compared to most trail runs in many ways. Bridle Trails State Park is right in a city, namely Kirkland. 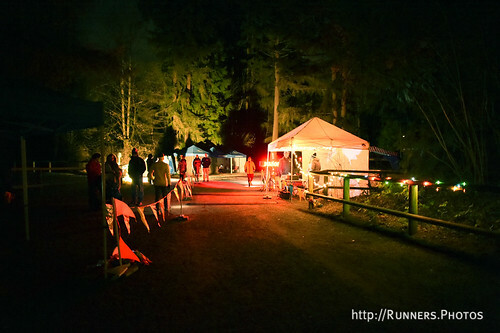 It also starts at 3:00 PM so if you are running more than 10 miles you will be doing most of it in the dark. This was my first "race" of the year. I put race in quotes because running fast is still a way off for me so this was a race only in the sense that my effort was timed but we did not take it too seriously. 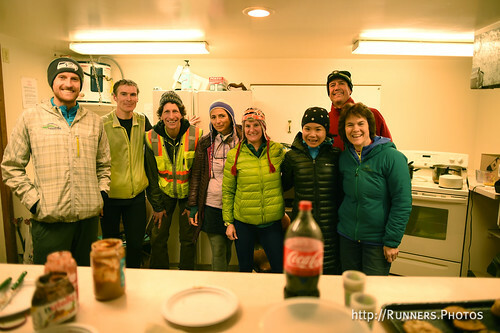 I ran with Bill Huggins on a 2-person relay team. Bill is one of the guys that got me into trail running in the first place. We've been out in the woods together a few times recently and it's been really fun reconnecting. 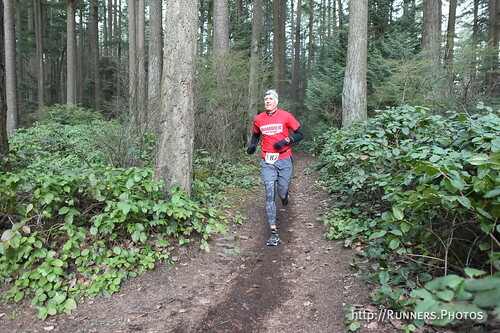 The hardest part of this race was getting back out there after you had fully cooled down! You just could not stay warm sitting still for 35 minutes so I would pile on the clothing, hang out by the propane heaters and basically be super cold when Bill would show up after his lap. I'm SO glad I had the foresight to bring dry tops for each lap. Being able to change out of a sweaty shirt each time I finished my run was a dream. My first two 5-mile laps didn't require a light but I was pushing it the last mile of my second lap and only managed it because I knew the course. Heck, it was fun. And then running with a light on my last lap was fun too! I always feel faster at night when I'm running/skiing/whatever although the reality is I'm usually slower. The gun went off and the leaders were promptly out of sight. Based on their time, they averaged around 6:00 pace start to finish. Nice. 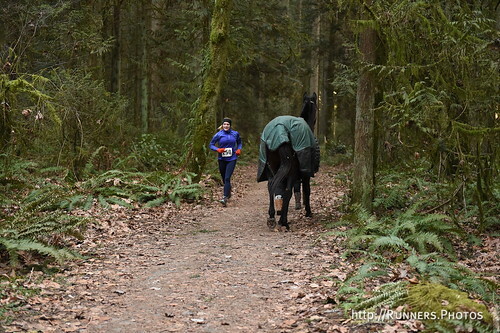 It took me about one mile to find my position in the pack and then being fairly fresh, I started to look for carrots. Up ahead I spotted what appeared to be a mother/daughter combo and figured that should be easy to catch. Two miles later I was still chasing them! In this photo you can see them and me WAY in the background... 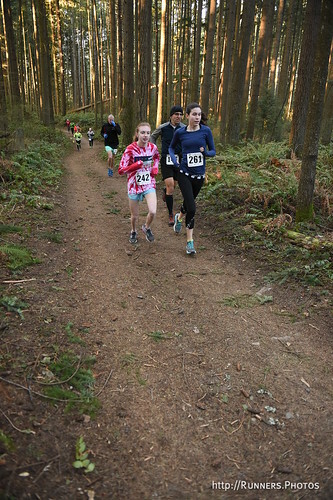 I'm the last runner in the red shirt. That girl looks like she's 12! At least I was able to pass an eight year old boy around mile two. Booyah! Another unique aspect of this race is it takes place on equestrian trails. And around this park, it seems like everyone has a horse (or two or three). I encountered four during my three laps. The first three were no problem but the last one was exciting. The owner was doing a great job of walking the horse way over to the side of the trail (even though they have the right of way) and so as I ran past going the other direction I scooted by way over on the other side of the trail. I had just passed a woman before I saw this horse and seconds after passing I heard a lot of rustling leaves and a scream. I guess the horse got startled and the woman had understandably freaked out a little. Incredibly the event photographer captured this right before the horse acted up. Once I knew this woman was okay it made me laugh. Maybe out of nervousness. The photography coverage was awesome! Here I am on my second lap with my light turned off. A nice thing about events that use a loop course is aid stations are easy to manage. Since this is in a park with permanent structures, the aid "hut" was a tiny log cabin right by the start/finish. After I finished my lazst lap I stopped by for a snack while I waited for Bill to bring us home. And here is the finishing chute from the runner's perspective. I got a new shoe sponsor for 2017 and I just can't stop raving about how comfortable My Topo shoes are. So great to get support from exactly what you want to use. But my fitness is coming back! I won't be slow too much longer.